Description ↴ Choose this locket if your lucky number, date of birth or compound talent number is, 'Ten', or if you are not sure of the above mentioned numbers. 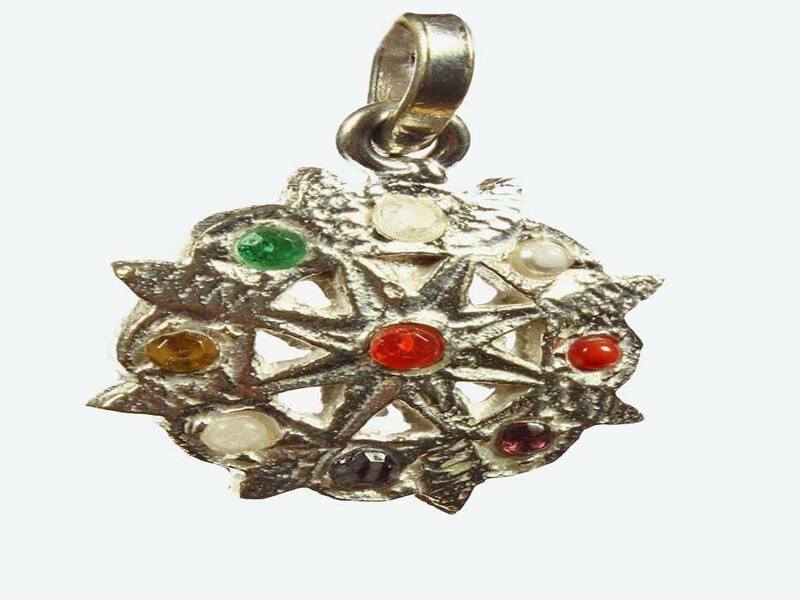 This zodiac charm has been consecrated through an astrological energising ceremony. Each unisex pendant is made of die-cast white metal and contains nine gemstones, representing the nine different Vedic planets. The positive astrological influence of all nine planets, combined with the effect of your luck number brings good fortune, success, protection and helps to overcome obstacles.